Working on getting the back patio ready for summer. 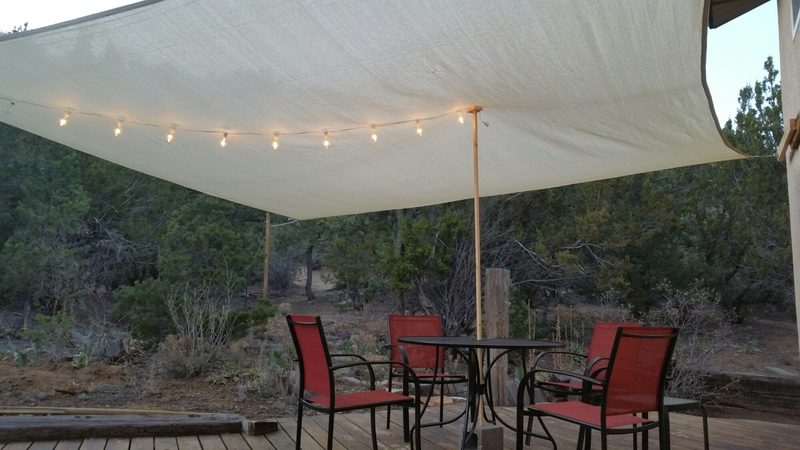 Hung up the sun shade, with a temp pole through the patio table. Hung a set of old fashion lights to test length, etc. Now to pick up 3 more sets to for an ex. Move the BBQ out, do some land scaping. It is going to be nice.